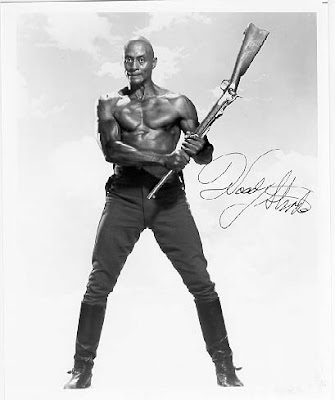 Woody Strode was an African American/ Native American performer. He was proud of his heritage. He was an incredibly gifted natural athlete who played professional football, and wrestled against the likes of Gorgeous George. When Hollywood called, he listened. He made 90 movies including Spartacus, The Professionals, and Once Upon A Time In The West. He even married a Hawaiian Princess. When he was on movie sets he found a method to stay in shape. Here is a quote.